One of the less hysterical criticisms of Ed Miliband’s intention to freeze energy prices for 20 months has been to call it ‘unworkable’. This was the word used by John Major when he intervened in the debate – ‘a bolt from the grey’ as one journalist called it. But no-one has yet explained why this should be so. This is possibly because the proposal makes no difference to anything other than consumer bills. The print and broadcast media are not, on the whole, the go to place for informed analysis of energy policy. But for those in the know there is a wonderfully concise, well informed and trustworthy source of analysis. The Houses of Parliament. I do not mean the members of either chamber nor even the Select Committees. The House of Commons Library does however publish a stream of excellent research notes on a very wide range of topics. On October 13th it published a note in its series on social and general statistics on energy prices. A quick look at the data in this report reveals just how workable a price freeze will be. There are three components to people’s bills – often misleadingly conflated. These are the cost of electricity, the cost of gas and a variety of taxes. What the Library’s report reveals is that wholesale electricity prices have not risen in real terms since 2008 – if anything they have fallen slightly. It is difficult to see what would be unworkable about freezing prices that are already frozen. It may be correct, if somewhat feeble, to claim that government can do nothing about global gas prices. But that is certainly not the case for companies. If there is to be a price freeze on gas in 2015 gas suppliers can simply adopt a normal business practise in the face of an anticipated price rise and hedge. There is thus nothing inherently unworkable about Mr Miliband’s proposal to freeze gas prices. Gas suppliers have been given an unambiguous signal about the need to hedge if they think global gas prices will rise. If they think they will stay the same or fall then there is no problem with a freeze. ‘Hedging’ is simply a form of insurance. You buy the gas now that you will need in 2015. This costs you money you could use elsewhere to make profits now. This hurts your margin and possibly executive bonuses but it protects you from any rise in global prices during the freeze. Wholesale electricity prices are much where they were in 2008 and electricity bills are only up some £20. What then is driving the political crisis with bills. Wholesale gas prices are also roughly where they were in 2008. 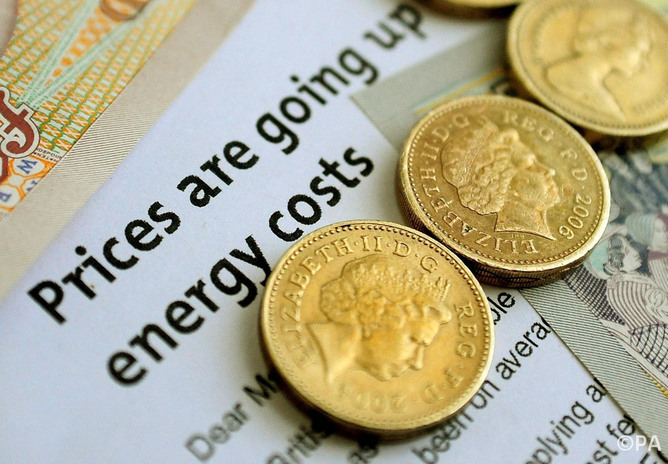 Consumer gas bills however have risen by over £120. Hence the outrage, or at least a large part of it. There are three other factors driving the dramatic rise in consumer anger and its accompanying political anxiety. The first is that prices, and bills, fell before they rose. Consumers and voters alike are much readier to express anger at renewed pain than to remember past pleasure. Energy prices and bills fell consistently for the 15 years prior to 2005 and then started to rise again. Secondly, as austerity kicked in after 2008 the proportion of consumer spending on energy, having fallen pretty consistently since the sixties, began to rise. As austerity has continued to drive real wages down and consumers have less and less money to spend that proportion has continued to rise. Falling wages and rising prices is never going to be a recipe for political contentment. The third reason has been pure opportunism on the part of the right wing press. The Mail, the Murdoch newspapers and the Telegraph were quick to spot an opportunity to roll back the climate change policies they loath and to divert attention from the austerity policies compounding the pain of rising gas prices. They have blown a malign hurricane of misinformation at the public. The result has been to drive the Conservative part of the Coalition into frenzy of headline managing policy announcements that will do little to help consumers with their bills but will damage one of the most successful parts of our economy. The supposedly ‘green’ taxes on the gas bills that are the primary source of consumer pain are actually there to fund energy efficiency measures, as are just under half of the green taxes on electricity bills . In other words, to fund exactly those measures that are there to protect the poorest consumers against rising energy bills. Of the remaining ‘green’ taxes on electricity most is in the form of the carbon support price. This does nothing for the environment but does help fill the hole in the public finances left by the bankers. Not surprisingly green campaigners have been arguing for some time that the revenues from this ‘green’ tax should be recycled into addressing fuel poverty and preventing the ‘heat or eat’ choices beloved by the tabloids. The 6% of genuinely green tax on electricity bills helps to finance the renewable energy developments that are the fastest growing part of the real economy. Cutting these taxes would save consumers little but would dent our fragile economic recovery. So we have a workable Miliband initiative to freeze energy prices temporarily that will give consumers a breather. We have a panicked response for the Conservatives that could do more harm than good both to consumers and to the economy. We have the Liberal Democrats poodling along in the wake of the Tory right. Meanwhile, your friend and mine, the Big 6 utilities have smartly taken the opportunity to protect their interests by inducing a confused government to axe the ECO energy efficiency policy that actually does help to keep energy bills down.